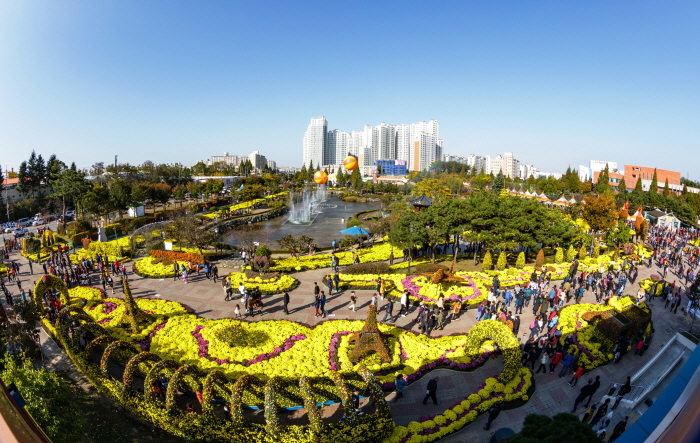 The annual Iksan Ten Million Chrysanthemum Festival is held every year from late October to early November at Iksan Jungang Sports Complex. 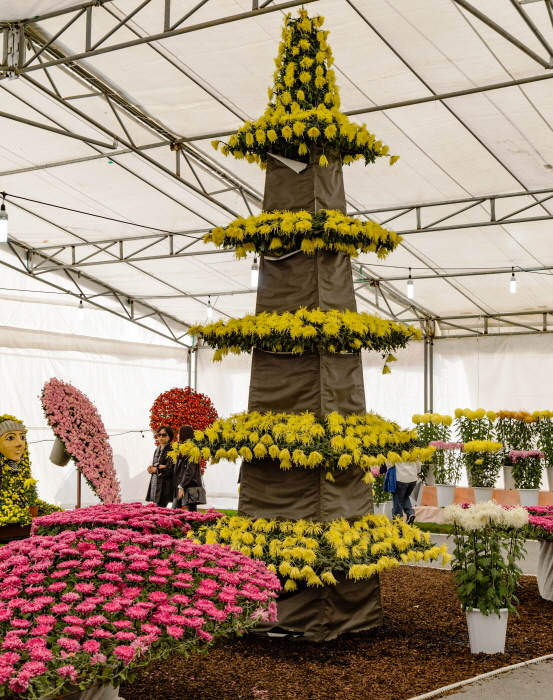 The festival features an outdoor chrysanthemum exhibit, city agricultural hall, cultural performances, music fountain and many more as well as food. - Hands-on Programs: Chrysanthemum cosmetics, chrysanthemum chocolate pie, natural dyeing, etc. * Exchangeable ticket is only valid within the festival site and can be used at all the sale shops, experience halls and food halls as cash. From Central City Terminal, take an express bus bound for Iksan Express Bus Terminal (approx. 2 hr 50 min). Exit out from the bus terminal, walk left to take Bus 100 and get off at Jugang 1 Cha Apt. Bus Stop (14 bus stops; 24 min). Walk back toward the big four-way intersection. Turn left at the intersection and go straight for about 15 min. The venue will be on your left. Take the train from Seoul to Iksan (KTX) or from Yongsan to Iksan (KTX, Saemaeul, or Mugunghwa). From Iksan Station, cross the street and take bus 65 and get off at Jungang Sports Complex (12 stops, 20 min).